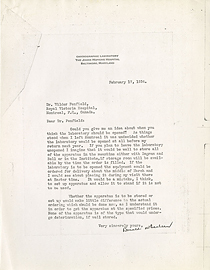 Letter from Charles Martin to Wilder Penfield, November 28, 1927. 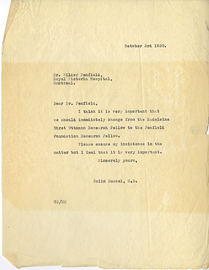 Letter from Colin Russel to Wilder Penfield, October 3, 1930. Letter from D.L. 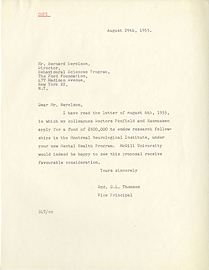 Thomson to Bernard Berelson, August 29, 1955. Letter from D.O. 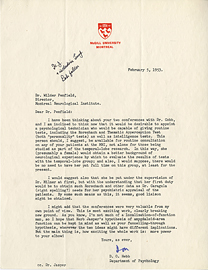 Hebb to Wilder Penfield, February 5, 1953. 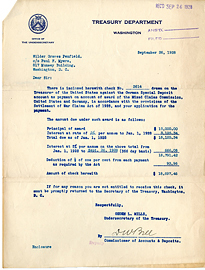 Letter from Daniel Bell and Ogden Mills to Wilder Penfield, September 26, 1928. 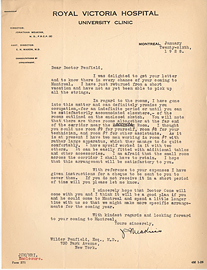 Letter from Donald McEchern to Wilder Penfield, Februrary 17, 1934. 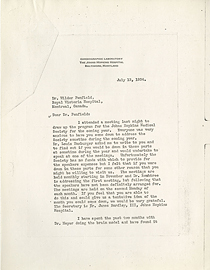 Letter from Donald McEchern to Wilder Penfield, July 13, 1934. 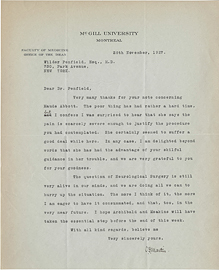 Letter from Dorothy McMurray to Wilder Penfield, October 2, 1933. 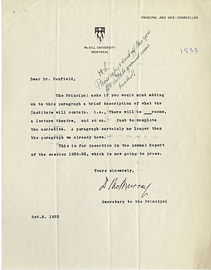 Letter from Dorothy McMurray to Wilder Penfield, September 28, 1933. 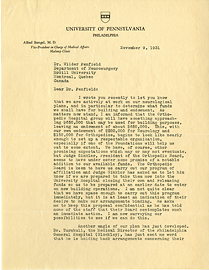 Letter from Dr. Alfred Stengel to Wilder Penfield, November 9, 1931. 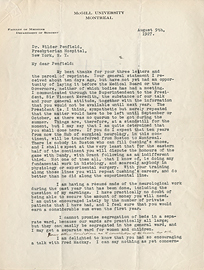 Letter from Dr. Meakins to Wilder Penfield, January 26, 1928. Letter from E.W. 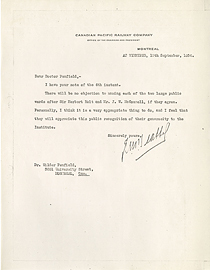 Beatty to Wilder Penfield, September 10, 1934. 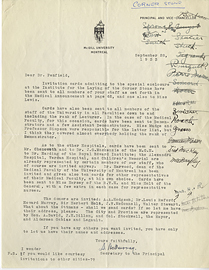 Letter from Edgar Adrian to Wilder Penfield, October 1, 1934. 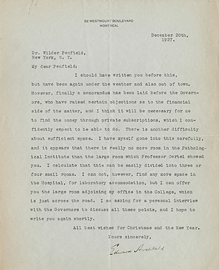 Letter from Edward Archibald to Wilder Pemfield, December 20, 1927. 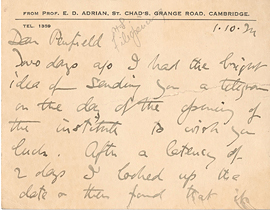 Letter from Edward Archibald to Wilder Penfield, August 9, 1927.